From outdoor adventures in the northern California mountains of Lake Tahoe to luxurious coastal retreats in Southern California’s picturesque Laguna Niguel, here are 5 fun places to visit in California for Memorial Day weekend. Whether you’re traveling with your family and friends or going solo, here are a few of our favorite vacation spots in California that offer beautiful accommodations, unique points of interest and enjoyable activities, and gorgeous scenery at every turn. Get your bags packed and get ready for a Memorial Day weekend vacation you’ll never forget! 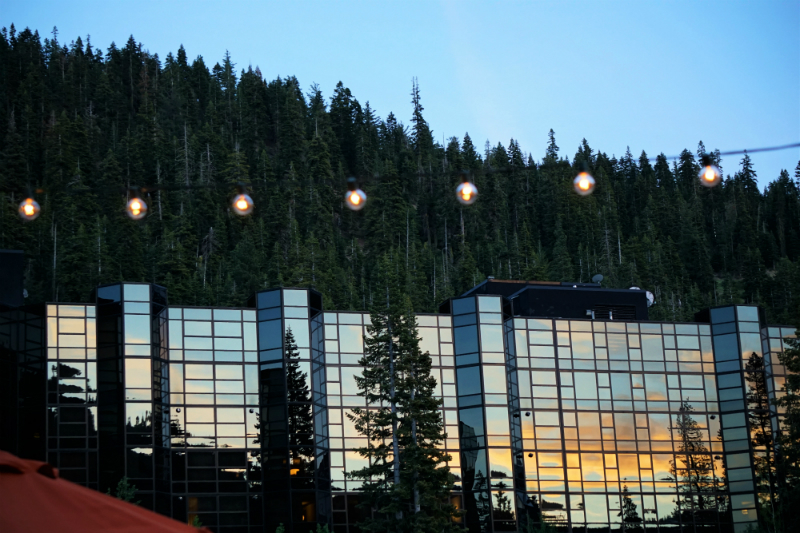 Nestled in the mountains of Squaw Valley (just 20-minutes away from the crystal clear waters of Lake Tahoe) lies the Resort at Squaw Creek. This award-winning luxury resort is the ultimate Northern California play place for kids of all ages (including us big kids). From spa treatments to golf, a swimming pool (with a fun-filled slide), gourmet dining, and even seasonal activities (like horseback riding and recreational activities), this hotel offers something for everyone in the family. Located adjacent to the Monterey Bay with unparalleled views of the Pacific Ocean lies the chic and contemporary InterContinental Hotel The Clement Monterey. 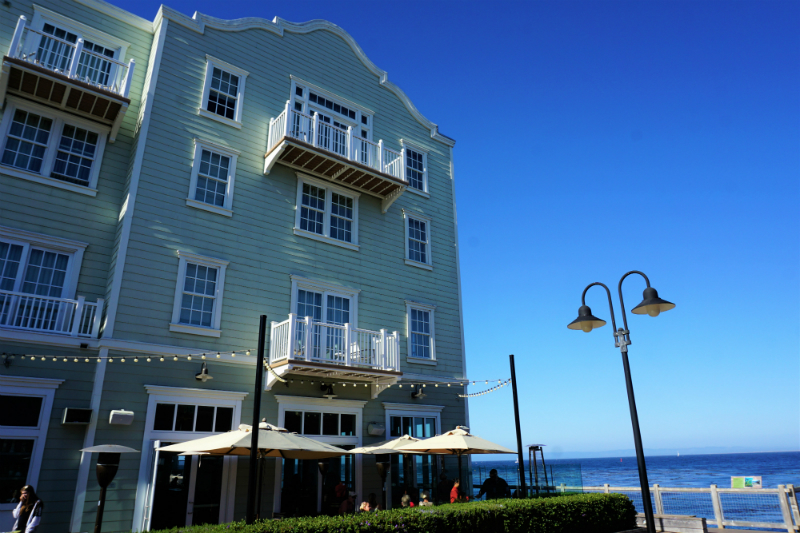 This upscale hotel is ideally situated on world famous Cannery Row in Monterey and is within walking distance to dozens of great restaurants, wine tasting rooms, and tourist attractions including the globally-renowned Monterey Bay Aquarium. Plus, the restaurant at the hotel offers gourmet dining inspired by fresh, seasonal ingredients that are sustainably-sourced. Tucked away in the Santa Ynez Valley just 40-minutes north of Santa Barbara lies the quaint Danish village known as Solvang, California. 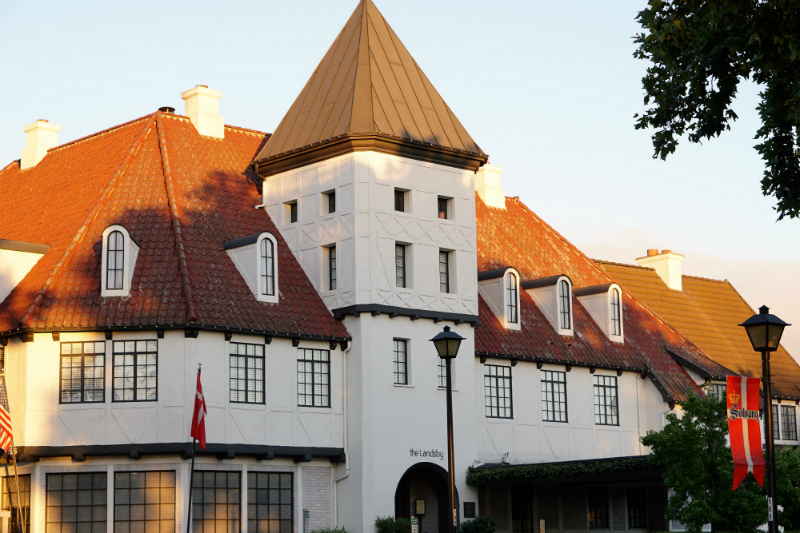 Within this charming town, you’ll find a number of cozy eateries (including delicious bakeries and pastry shops), wine tasting rooms, unique boutiques, and one of the most dog-friendly upscale hotels we’ve ever visited – The Landsby. This warm and inviting hotel offers beautifully-appointed accommodations, relaxing nooks and sitting areas to nestle into, and a few great dining options (including a gorgeous outdoor patio that is lit up at night with twinkling lights). If you’re in the mood for a little glitz and glamour, head down to the heart of luxury in Beverly Hills, California. 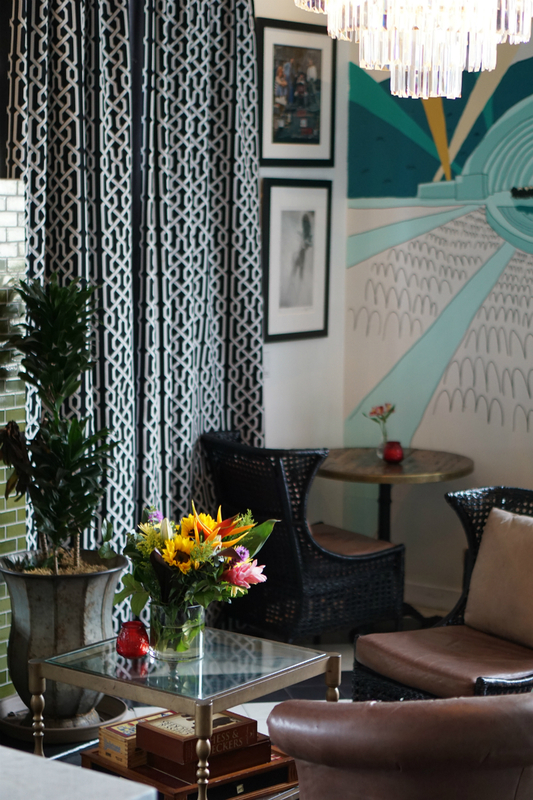 Just a couple streets away from famed Rodeo Drive lies The Crescent Hotel, an updated boutique hotel that was originally built in the 1920’s and boasts a sumptuous breakfast buffet, a cool retro-looking design, and cozy places to wine and dine in. Check out their library to find interesting and unique books to read, and make sure to pack your camera, because there are so many Instagrammable things to photograph (like the geometric wallpaper, dazzling chandeliers, and art deco-inspired decor). Plus, they even offer a complimentary happy hour every night, which is a fun way to mix and mingle with other guests staying at the property. 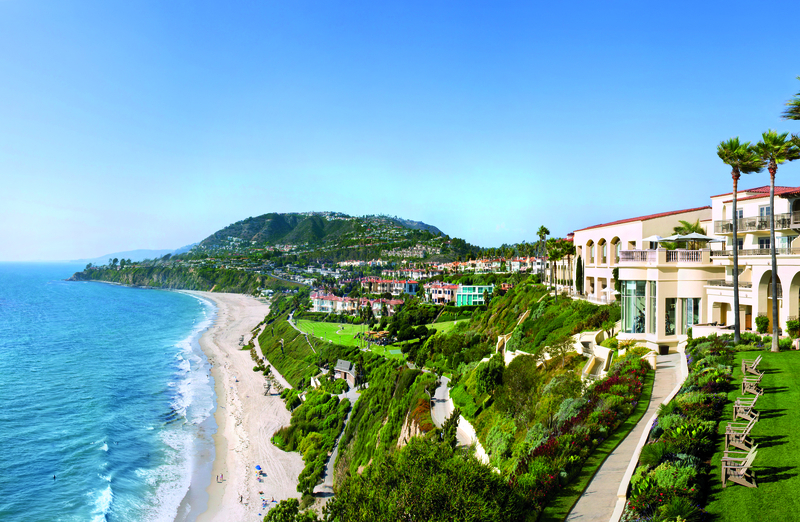 If you want a tropical getaway without having to trek across the globe, head down to Orange County’s gorgeous coastline for a fun-filled Memorial Day weekend at The Ritz-Carlton Laguna Niguel in Dana Point. This lush oasis of swaying palm trees, colorful flowers, and unbelievable ocean vistas makes for the perfect setting for a dream vacation. Plus, the hotel offers a variety of enjoyable activities including surfing lessons, paddleboarding, swimming pools, a fitness center, and even a spa. For more inspiring Memorial Day weekend vacation ideas, check out the Travel section on Inspirations & Celebrations.